We wish to congratulate Vestre Viken dep. 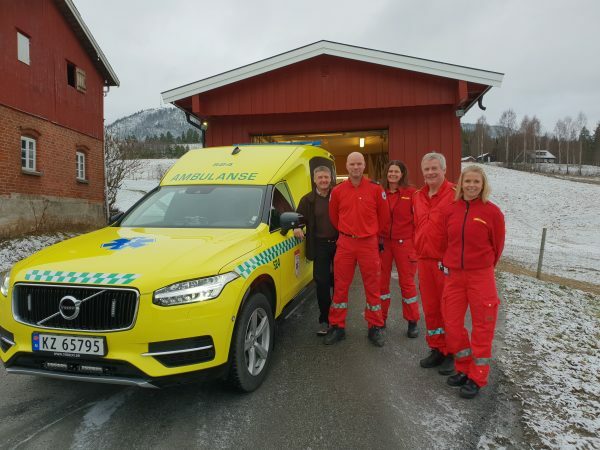 Sigdal, Norway, with their new Nilsson XC Ambulance! 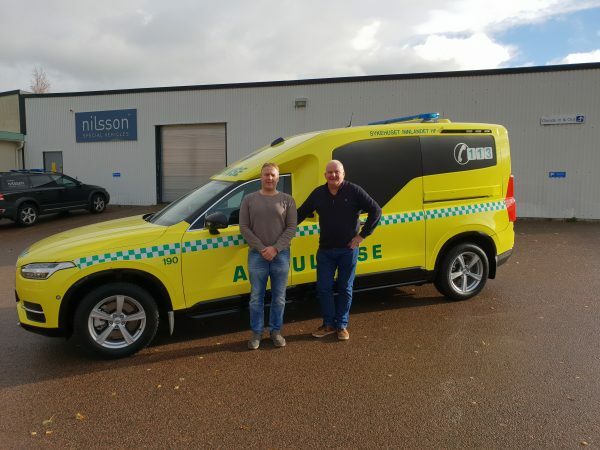 Björn Gunnar Myhre and Håvard Tegler Johnsen from Innlandet Sykehus HF are picking up a new Nilsson XC90 ambulance to be used in Valdres, Norway. 181031. Thank you for confinding in us and we wish you good luck with your new ambulance! Stian Brekke from Telemark HF, Norway, is picking up NAX117, wednesday 24th of october 2018. Thank you for confinding in us and we wish you good luck with your new ambulance. 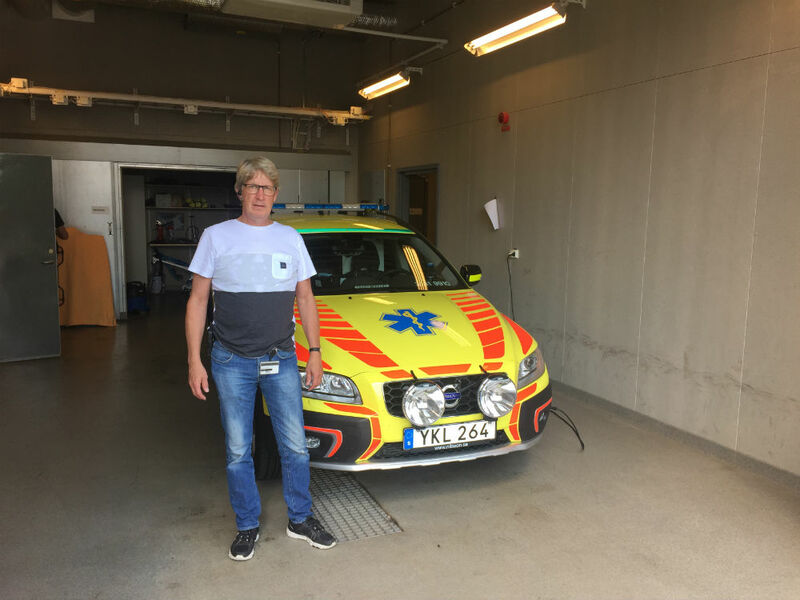 Leif Johansson, Ambulance health care, Region Norrbotten is picking up an ambulance on his way to Arjeplog. Thank you for confinding in us and good luck with your new ambulance. Torben Boldt, Jonas Jansson and Arne Karlsson from Ambulancehealthcare, Region Örebro is picking up an ambulance on their way to Örebro. Thank you for confinding in us and good luck with your new ambulance! Stefan Good and Elin Andersson from SÄS in Västra Götalands Regionen is picking up two ambulances on their way to Borås. Thank you for confiding in us and good luck with your new ambulance! 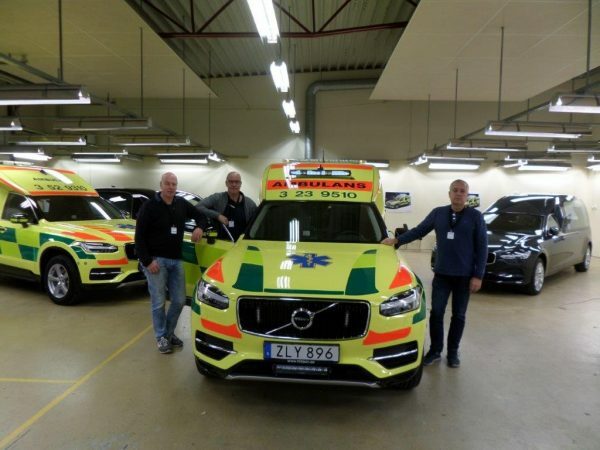 Celebrating the delivery of 100th Nilsson XC90 Ambulance! 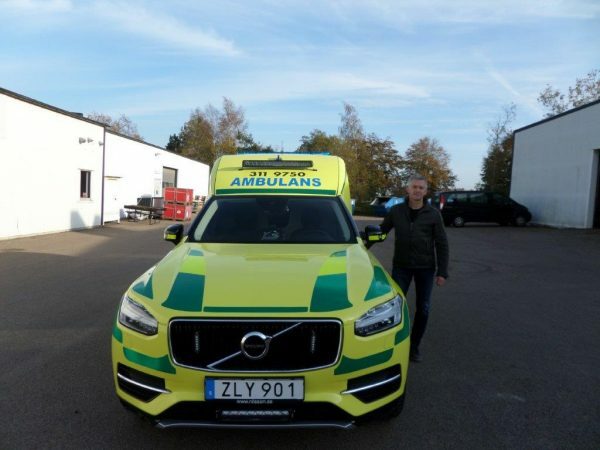 Stefan Good from SÄS, Västra Götalands Regionen picked up their new ambulance and we celebrated the 100th Nilsson XC90 Ambulance leaving our factory! 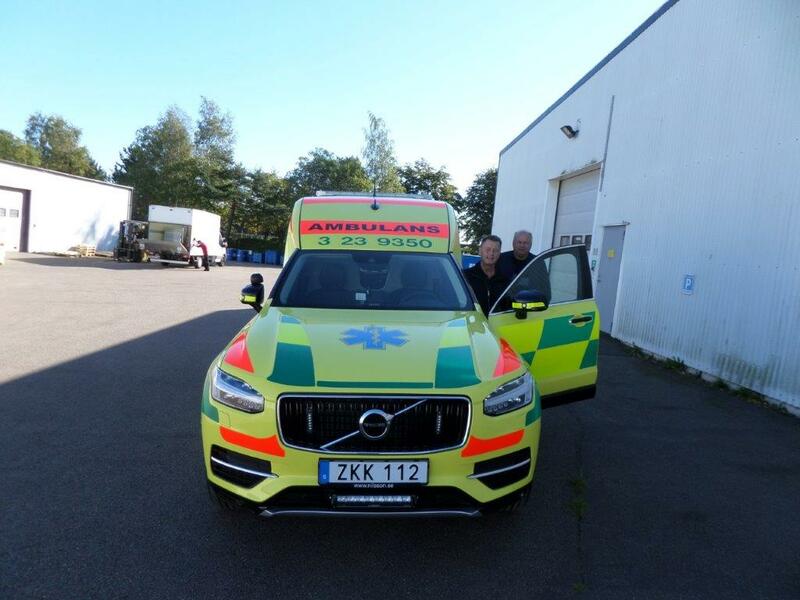 Nilsson XC90 Ambulance was shown for the first time in Flisa, Helsingborg in September 2016. The very first ambulance was then delivered to happy customers in December the same year and today was time for nr. 100 to leave our factory. That is well worth celebrating and together with Stefan and all our wonderful staff we had coffe and cake in the factory. 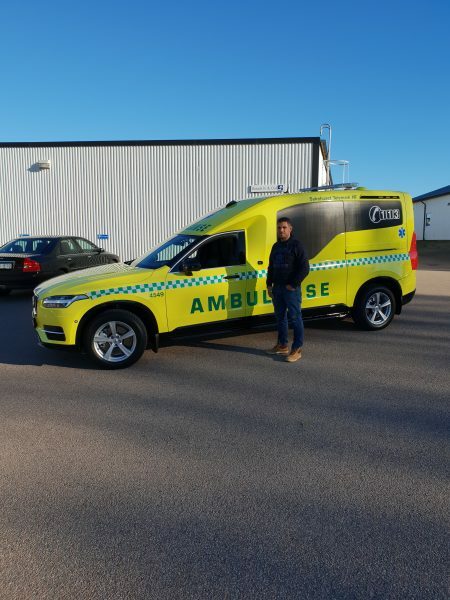 This ambulance will serve in Skene, Sweden where all of our carbonfibre boxes for ambulances is produced before being shipped to our factory and landing on an enlongered Volvo XC90 chassie. 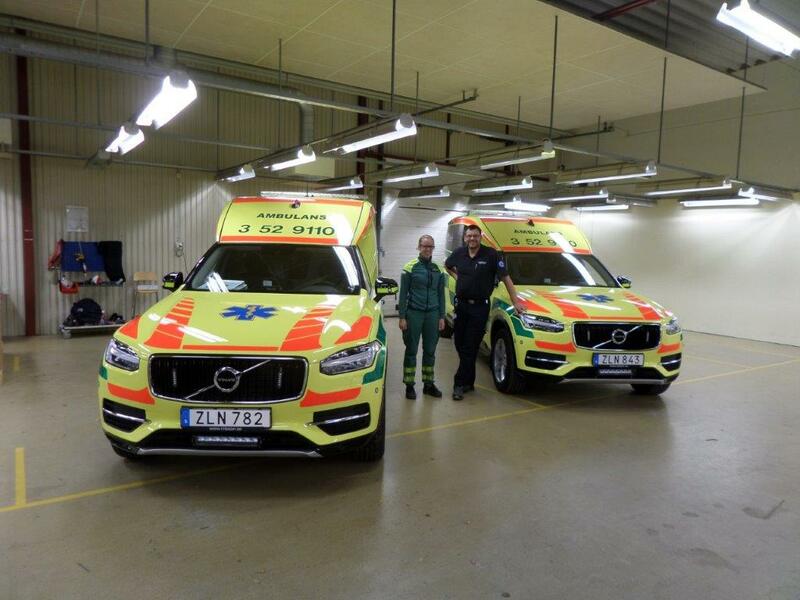 We thank you and wish you the best with your new Nilsson XC90 Ambulance! We delivered aVolvo XC70 Responder to Sörmland. The car will serve in the city of Eskilstuna. On the picture in front of their new car is Mats Hedkvist. We would like to thank you and wish you the best with your new car! 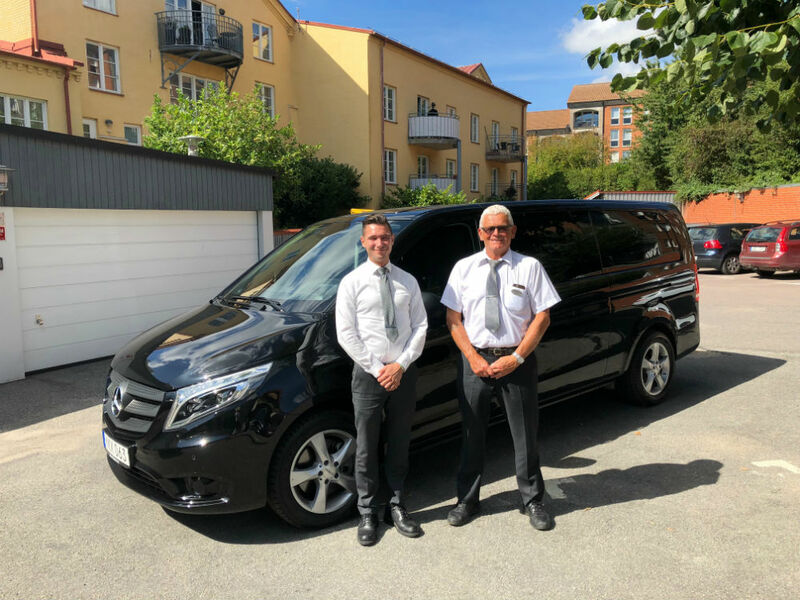 On a beautiful summerday in Lund we delivered a MB Vito 116 CDI to Etikbolaget in Skåne. We thank you once again for confiding in us as your supplier and hope you will enjoy your new car!